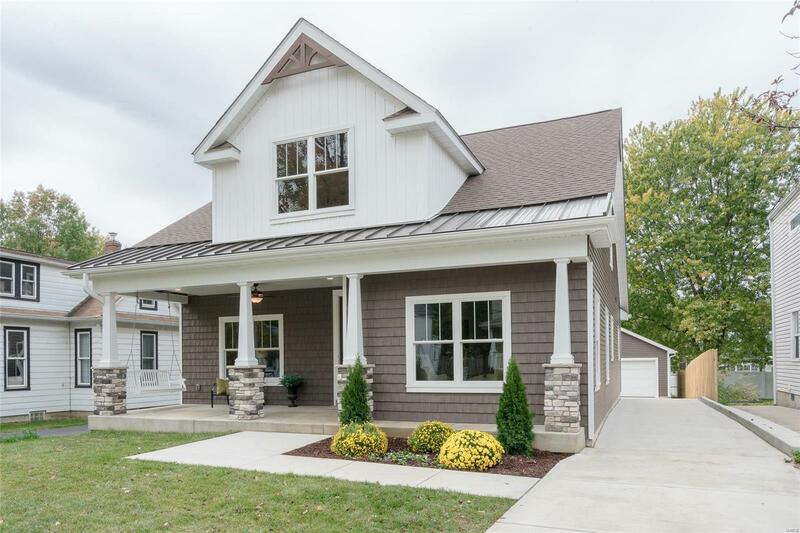 Beautiful NEW 1.5 Story Craftsman with Main Floor Master Suite by HBA Certified Green Builder, Benchmark Custom Homes! This home offers 5 beds & 5 baths, 2 car detached oversize garage & a private level lot! Highlights Include: Functional & Open Floor Plan, Gourmet Kitchen with Stainless Bosch Appliances looking out to Living/Dining area, Large Main Floor Mud/Laundry Room, Spacious Main Floor Master Suite w/large walk in shower & walk in closet. LED Lighting, High Efficiency HVAC & Water Heater, Low E double hung Windows & Premium Hardwood Flooring in main area of 1st floor! The lower level of this home is partially finished providing a great rec/entertainment space with dry bar, additional bedroom, a full bath and plenty of additional storage space ! Enjoy Kirkwood and all it has to offer from this great location close to Kirkwood Schools, Restaurants & Shopping!